RTMP pull option. What is RTMP Pull?! How to use RTMP Pull?! 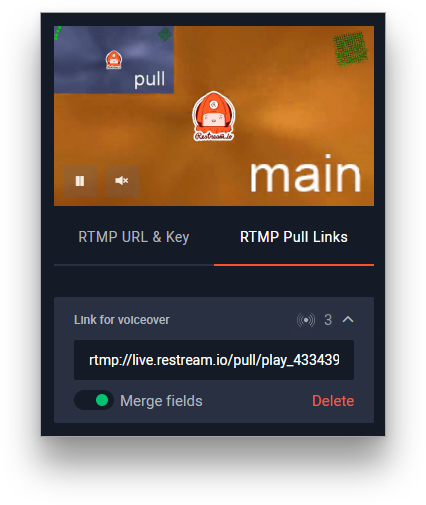 RTMP Pull - Enables a playable RTMP link of your live stream that you stream to Restream.io so it can be used as live source of your broadcast. 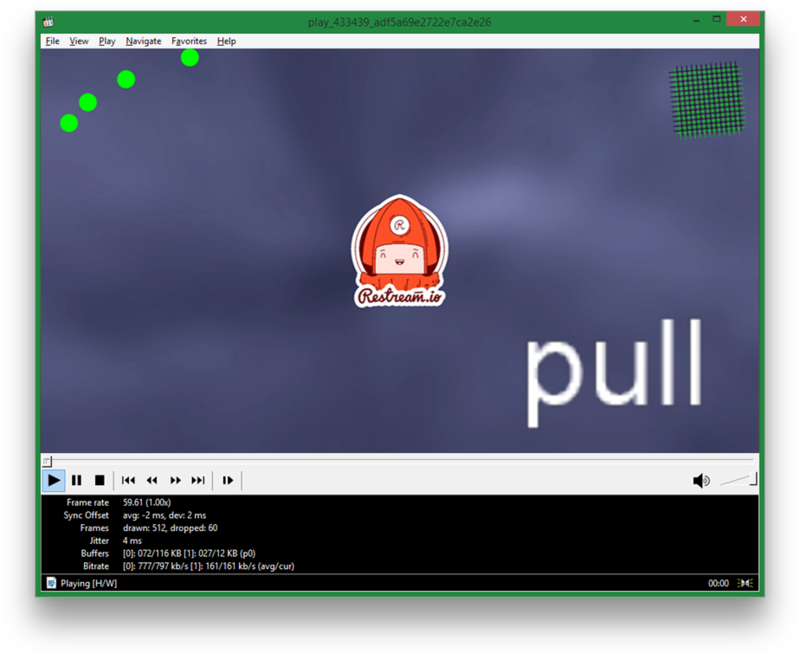 Using RTMP Pull option is as simple as streaming to an RTMP key, but in a different direction. 1. 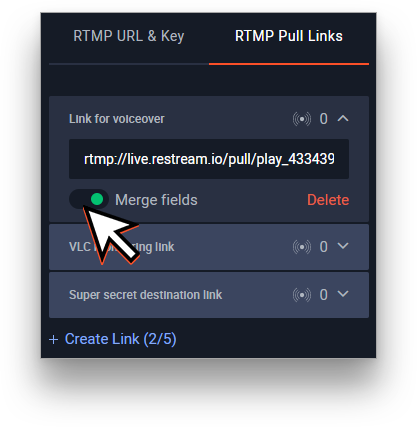 If you are on a plan that supports RTMP Pull option, visit your Restream Dashboard and click on RTMP Pull Links menu above your stream key. 2. Press the Create Link button. 3. Give your link a name that will explain it's purpose. 4. After creating enough links for your needs, you can start using them. For this, open the menu for a required link. 5. If you require a single-line RTMP Pull Link, you can merge fields for ease of copying. 6. 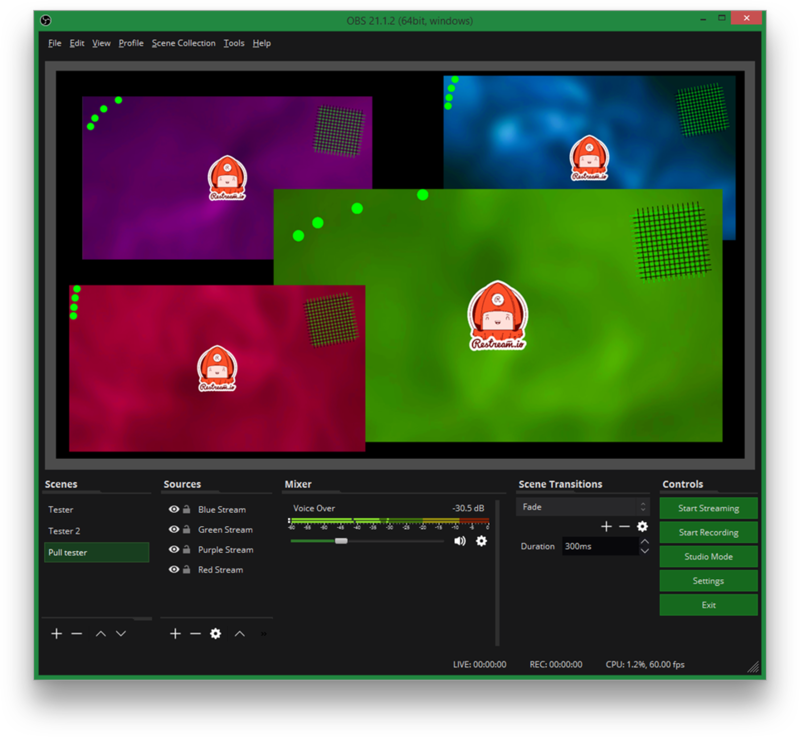 To use these links, copy them and insert to your video player as a file path for monitoring, or use as a media source with FLV type in your streaming application to embed this stream into another stream. 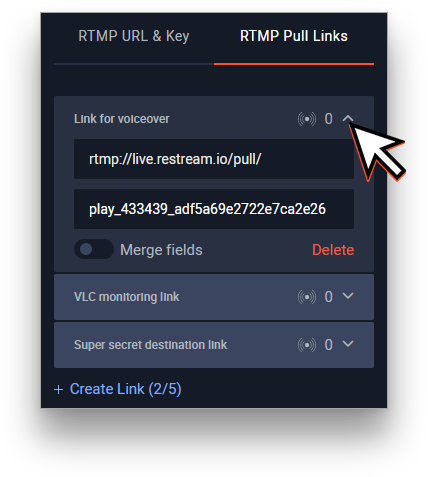 Tip: It's easy to see how many active RTMP Pull connections you have.You can use up to 5 active connections to a single RTMP Pull link. 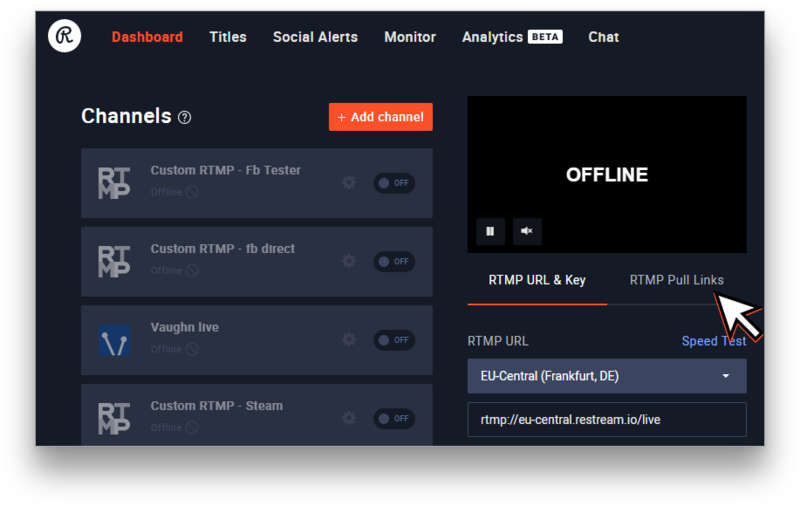 Tip: 'RTMP Pull' can allow you to create multiple points of view from incoming streams, which means you can switch between the streams of your broadcasters in your main broadcast, for example during ESports tournament or conventions. Important: Remember that we do not allow embedding RTMP Pull links inside public players anywhere. It is strictly for internal production and monitoring use only - sharing it to the public (ex. 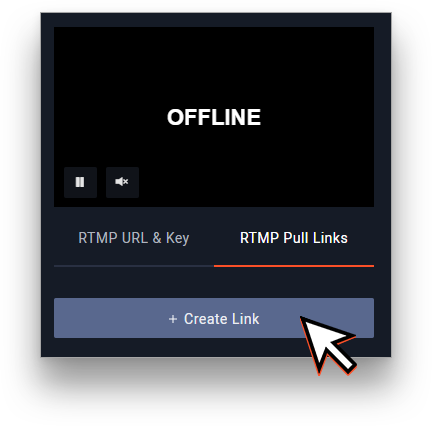 using the RTMP pull link to display your Restream content directly on a public web page) is prohibited.